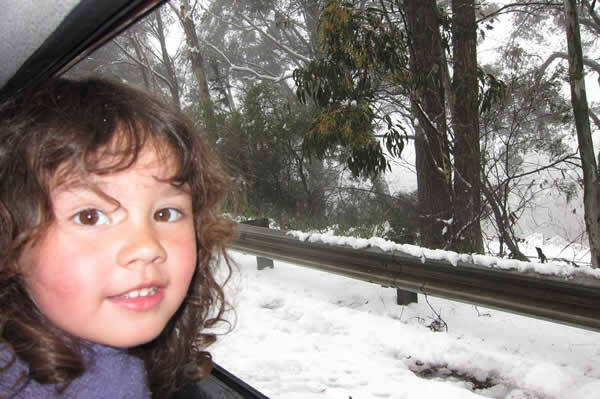 It is compulsory for 2 Wheel drive cars to carry chains on NSW Alpine National Park roads. 4 Wheel Drive and All Wheel Drive vehicles are not required to carry chains, but we do recommend these vehicles carry and use chains in heavy snow conditions. Police are constantly monitoring vehicles to check if chains are being carried. A $330 fine is applicable to 2wd cars not carrying chains in Alpine National Parks. Hire Snow Chains Now from the leaders in snow chains in the Snowy Mountains. Our friendly professional team will fit the chains to your car, and ensure the correct sizing, while giving you a valuable lesson on how to fit and release chains when you are required to. Fit snow chains where other cars can see and avoid you, usually off to side of road or in clearly marked snow chain fitting bays on Alpine roads. 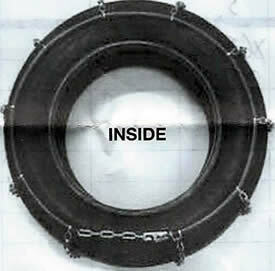 Fit hoop with small hook and small chain to inside of tyre. Connect first link onto small hook. 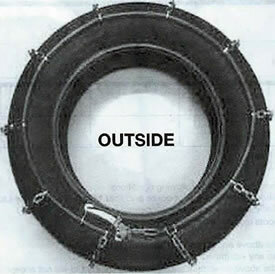 The inside hoop should sit evenly around tyre – the hoop should never touch the road surface when driving. Pull outer hoop tight and connect chain at bottom on the tightest link possible. Fit excess chain over tensioning lever, so it does not hit and damage your car or the road surface. Pull back lever and lock into place with retainer. If you cannot get a tight enough fitting with adjustment on outer hoop, adjust chain length on inner hoop. 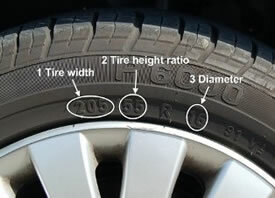 The outer hoop should sit evenly on the tyre, and never be in the position to touch the road when driving. Once fitted, move forward one full rotation of the wheel, the chain will loosen, and you should now be able to tighten snow chain an extra one or two links. If travelling for long distance, snow chains should be periodically checked. Once snow chains have been fitted centrally and re-tightened, drive off slowly, using accelerator and brakes gently if needed. 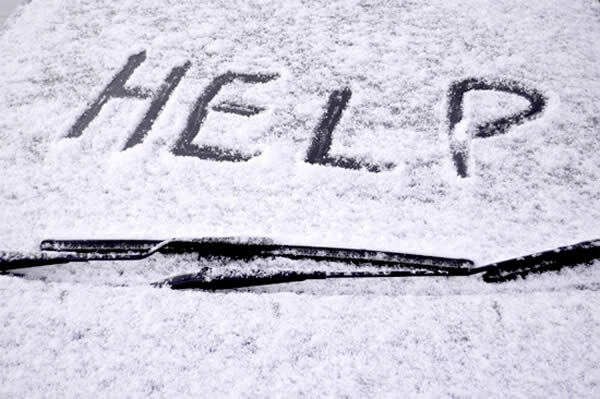 Avoid spinning wheels, as chains can break, damaging your car and you will be liable for snow chain replacement fee. Never exceed 30km per hour in snow/ice conditions, as it is important to remember you are driving in dangerous conditions. If you hear anything hitting against your car, stop immediately and investigate. We accept no responsibility for any damage to your car. 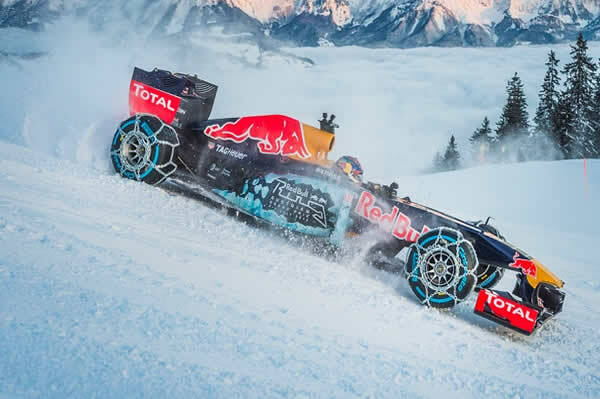 Fit Snow Chains to the wheels that propel your car. You may need to refer to your owners manual if you are unsure. When to Fit Snow Chains? 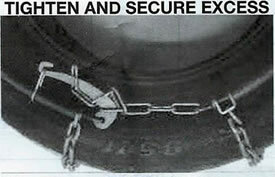 Only fit snow chains when there is snow/ice on the road, or when directed to by police or road and traffic authorities. 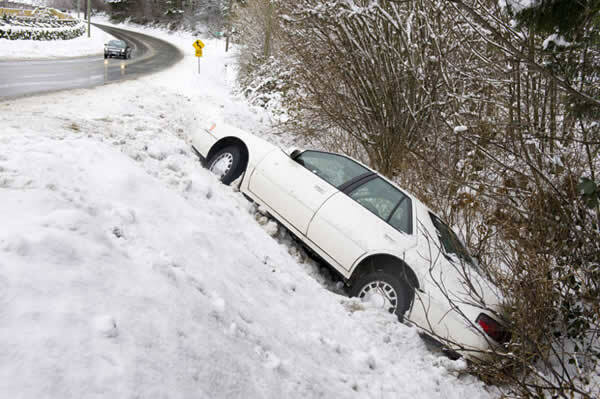 Remove snow chains in a safe place off the road, when the road is clear of snow/ice. No responsibility is taken by Margaritta Hire Pty Ltd or any of it’s affiliates or staff for any misconceptions of these instructions. Drive at a maximum speed of 35km per hour, giving space to car in front. As soon as you have driven onto bitumen again, immediately take chains off car, as driving on bitumen will ruin chains, and you will be required to pay for any broken chains.